Phillips, who will join Johns Hopkins on May 1, will be responsible for shaping undergraduate classes at the Krieger School of Arts and Sciences and Whiting School of Engineering, both on the university’s Homewood campus. His position, overseeing both the admissions and student financial aid offices, is a new one and reports directly to Lloyd B. Minor, the university’s provost and senior vice president for academic affairs. Phillips has been at the University of Pennsylvania since 2008, first as vice dean of admissions and now as deputy dean of admissions for strategic planning. He previously served in important roles at Columbia University, most recently as assistant dean for enrollment management services in the university’s Undergraduate Division of Student Affairs. Phillips said he was pleased to be joining a highly selective and successful university that, over the past 10 years, has consistently set new records for applications while enhancing the academic quality and diversity of entering classes. He said he looks forward to strengthening the collaboration of the admissions and financial aid offices with each other, with the faculty and academic advisers, and with alumni who encourage prospective students to consider Johns Hopkins. Important to that collaboration, he said, is providing strong, data-driven analysis; consistently assessing how well initiatives are meeting their goals; and leading full discussions of trends and issues with all involved. That approach is reflected in his work at Penn, where he has ensured that units within the Admissions Office are driven by a clear strategy and coordinate closely with each other in pursuit of the university’s goals. He has contributed toward a 38 percent increase in applications and enhanced diversity and academic quality in the freshman class. Among other assignments at Columbia, he managed a staff of 13 responsible for strategy, data modeling and analysis, process improvement, and database systems for the offices of undergraduate admissions, financial aid and advising. 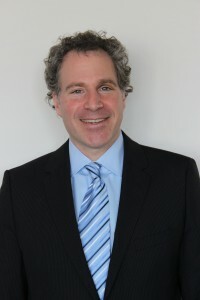 Phillips is a 1987 graduate of Bard College.